Both the UAE and Saudi Arabia are also entering into the renewable energy market with solar power projects that require more than $1.5 billion in financing by the end of 2014, AMEinfo and Bloomberg reported. Dubai's first large solar power plant, now 70 per cent complete, is on schedule to be operational in October 2013. Completion of the 13 MW plant is the first phase of the Mohammed bin Rashid Al Maktoum solar park, which aims to generate electricity (1,000 MW) to power 200,000 homes by 2030.
International Renewable Energy Agency (IRENA) reported that renewables investment in the Middle East/North Africa region rose by 40 per cent last year, to $2.9bn. With more than 100 projects under way, including solar, wind and geothermal sites, spending could reach $13 billion across the region within just a few years, the agency says. It is not clear whether they are manufacturing the solar cells or just are commissioned to do design, assembly and management. Whatever it may be, this is quite an achievement to be proud of. Iran is making very rapid progress in renewal energy and is manufacturing solar panels and wind turbine farms. According to various reports, Iran plans to develop 1,000 megawatts of renewable energy, with a special focus on solar power. Iran will be establishing 60,000-megawatt capacity in solar farms and 40,000-megawatt capacity in wind farms. 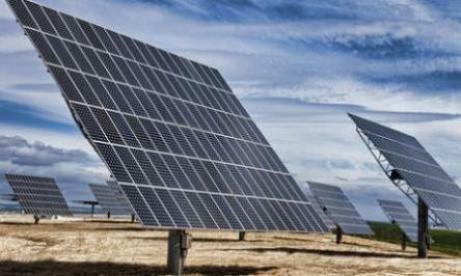 Iran is working with Australia and India in developing its renewable energy industry. I have attached a recent Ph.D dissertation that may be of interest. With respect, the paper does not tell whether IRI can manufacture photovoltaic cells. I could not find any reference in literature that IRI has such capability. Thanks for your contribution. Google Solar Panel Manufacturing in Iran and you will get the results. Pleasantly surprised to find out that a private electronic manufacturing company in Semnan can and have been making photovoltaic cells and many other high tech electronic products since 1995. The company apparently run their own private solar farm in Semnan producing electricity on commercial scale! Yes, like I mentioned before. Iran has many surprises. We are also cooperating with China which is the world's biggest manufacturer with the lowest costs.